As an exhibiting artist, art patron, or just simple everyday promotions, club events; there is one thing that is constant and consistent. Flyers. 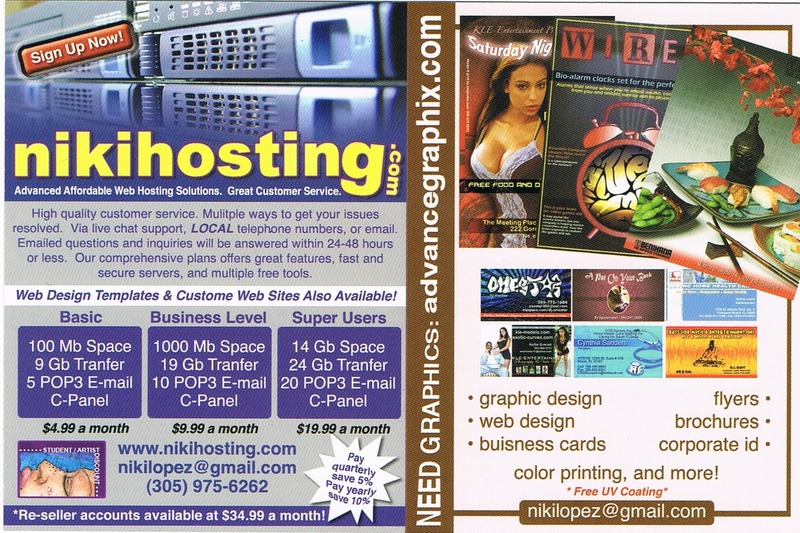 If you are doing an event, you print flyers, when you are out on the town, we are consistently bombarded by flyers. In some aspects they are a great way to affordably get your information out. Some people collect them like business cards, either to check on an event, or as a designer you look to see what the competition is doing (or not). 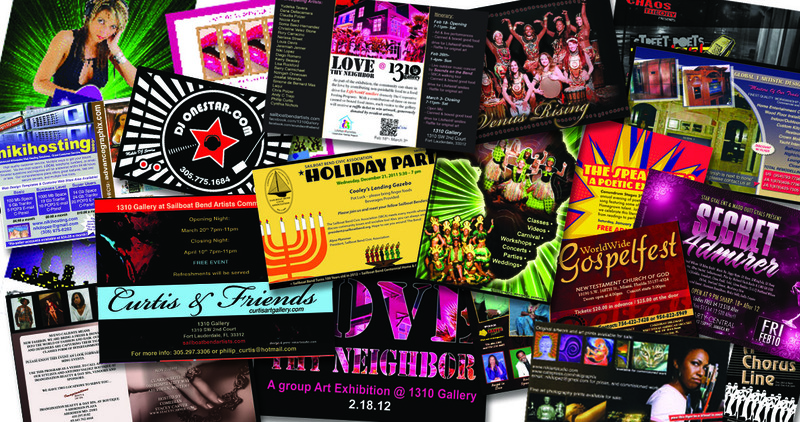 When you are curating or producing an event, along with your online marketing, flyer printing is a given. 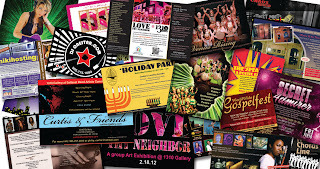 Often times talking with other artists who produce shows, printing just enough flyers or too many flyers is an issue. After an event, or if you change your marketing you are left with all these flyers. Once money is spent, you almost hate to just through them away. 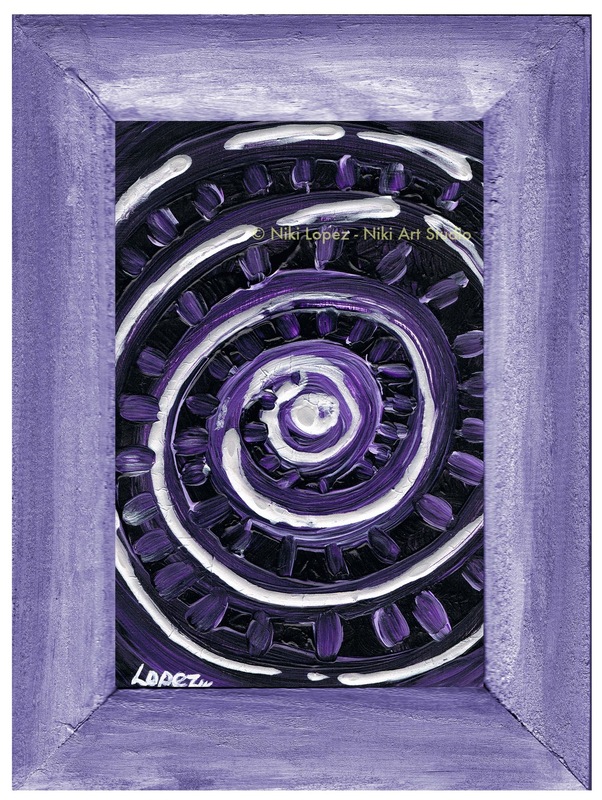 This year, some of my goals include smaller works of art and prints for those interested in my artwork but looking for a smaller investment or just getting started collecting art, as well as just my own personal exploration of concepts and styles. Sometimes while working, I get on this tunnel vision war path of 'creativity gone wild' and just get into production mode. 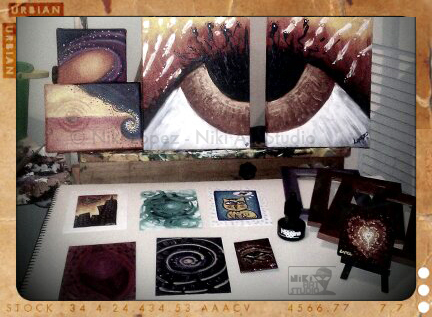 I started out with some small archival prints of a few paintings, then small canvas that I have included in my Etsy Shop. Then I just went on a painting frenzy. I gessoed and painted some art pins. 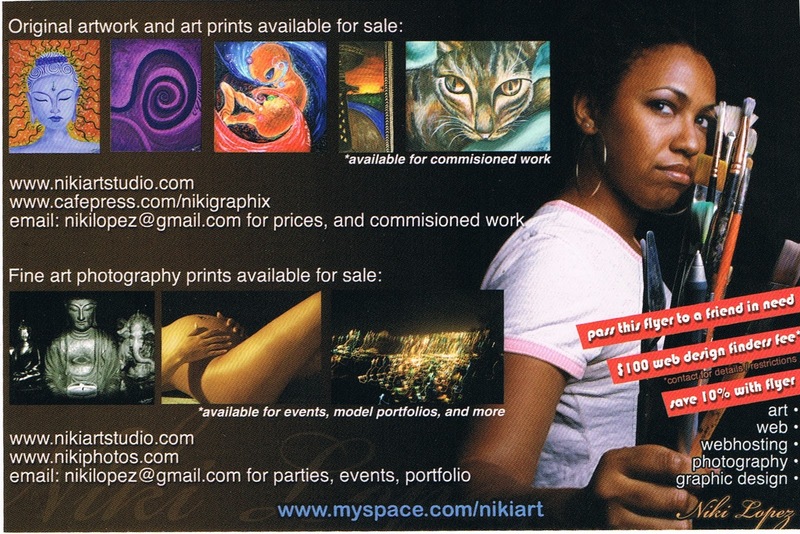 Taking a break to clean up my studio, I came across a stack of some older promotional flyers. Since I do a few different things, that one flyer had my art and photography on side, and my graphic design and hosting service on the other. While shopping for the best price point, I ended up with 5k flyers, and still have so many of them left. I was just about to throw away another batch when it hit me: 'what if i used these flyers to create small original works of art'? 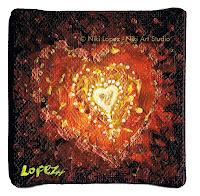 I was already looking into getting some smaller canvases to go with my frames. 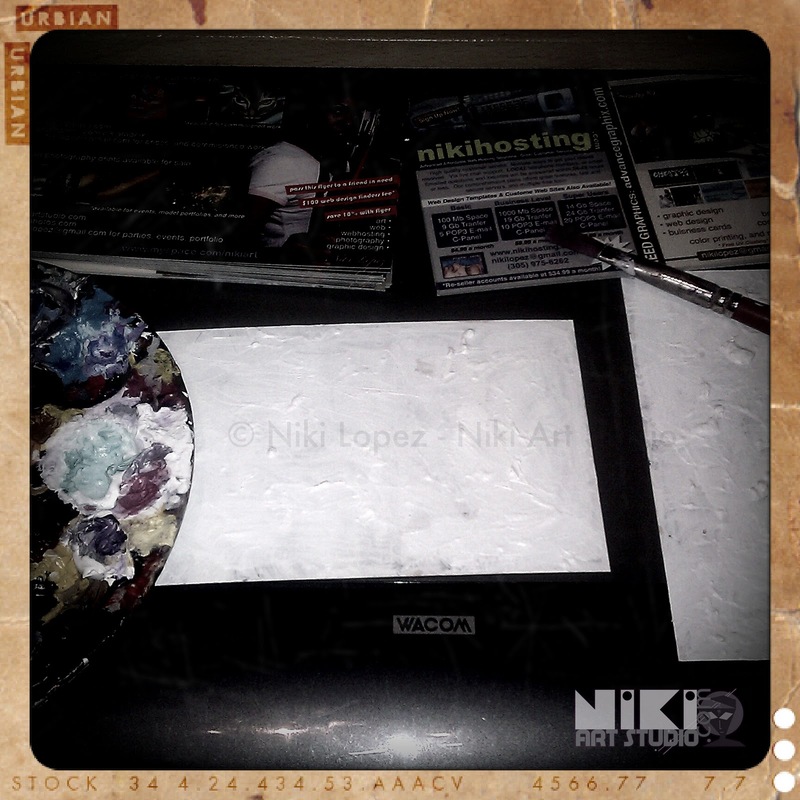 So I primed a few of my flyers with gesso, waited for it to dry, then painted. 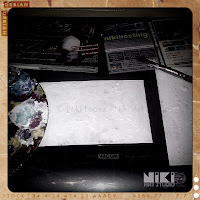 The process: priming one side of flyer with gesso, once dried-its painting as usual. 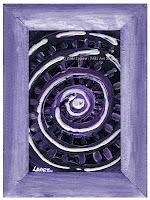 Small works of art on the bottom of image is made out of recycled flyer cardstock. Art on easel is painting canvases. Then the series was born! 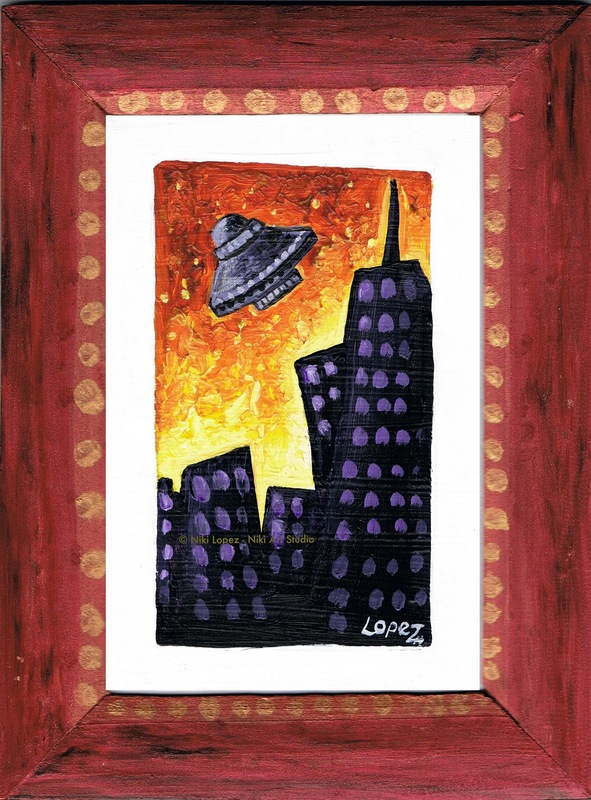 Small works of art that is using recycled and repurposed flyer card stock. 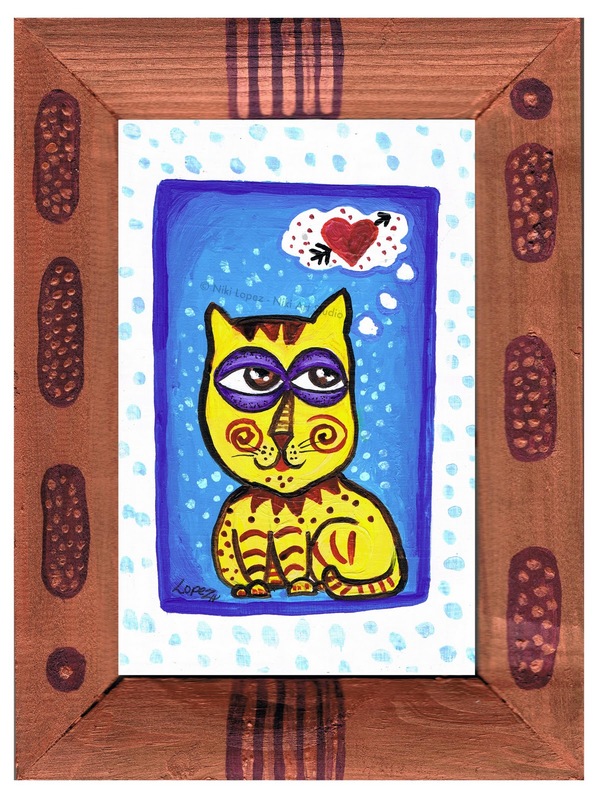 Coupled with some hand painted frames, it makes the perfect canvas for my small works of art series that stems from many of my sketch book concepts as well new ideas styles. I have just fallen in love with the process and it makes me feel good to be able to not only recycle and reuse old material, but also saving money that would have been spent on canvases. The great part about this series is that I am using my flyers, so on the back still has my information. Old marketing flyers that are being recycled into new works of art. I have been sharing this with a few fellow artists friends who think this is a wonderful idea, and hopefully its a solution many artists, artisans and crafters can explore as a way to reuse, recycle, and save money on supplies. With these recycled small works of art, I'm including a hand painted wooden frame that really showcases the work so well. Beautiful work. I like the idea of reusing, up-cycle, re-working, etc.